April is Volunteer Month. 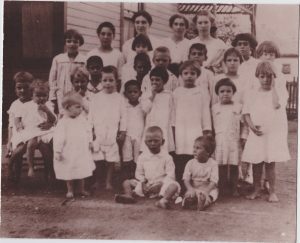 The Settlement Home for Children (The Home) was founded in 1916 by twelve Austin women who set about helping children in need. The Home was completely volunteer driven until 1936, when we hired our first paid social worker. We have continued to meet the ever-changing needs of the children in our community and have grown to almost a hundred staff members and over five hundred volunteers who support the well-being of children and young adults in foster care. During Volunteer Month, we will be featuring various volunteer roles that positively impact the residents at The Home. Make sure you like us on Facebook and follow us on Instagram to keep up with these volunteer posts!